LaTeXila is an editor for GNOME desktop environment, it is an open source application and lets you compile, convert and view documents on GNOME desktop. It can work with LaTeX commands and provides easier navigation through the document. It can also be installed on other desktop environments like Unity, KDE etc. Over the passage of time, it has become an important part of GNOME desktop environment. As you might already aware that GNOME dev team is working actively to announce the upcoming release 3.17.4, so in this process, GNOME development team has announced the availability of LaTeXila 3.17 now. It is available for download and testing ; once new GNOME version is out there, we will see it pre-installed with this particular LaTeXila version. 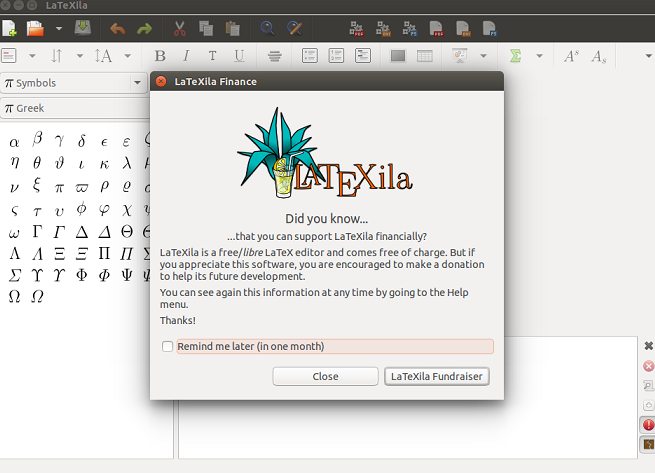 Let’s see how we can download and test this new LaTeXila version prior to the release of GNOME 3.17.4. Just like the upcoming GNOME, all its important components are receiving massive revamp and new features. LaTeXila 3.17.0 has been equipped with some new features and bug fixes. Two new buttons have been added to the File Browser component of this application, in this way users will be able to open files in either emulator or Nautilus file manager. It has improved the indent/unindent feature and Ctrl+PageUp and Ctrl+PageDown keyboard shortcuts have been introduced for tab switching. Enhancements have been made to headerbar and readonly mode. Disclaimer: LaTeXila 3.17.0 is a beta/testing release yet, so it is strongly encouraged to NOT install testing/beta release on production systems as it might have unknown bugs. Let’s see how we can install this LaTeXila 3.17.0 version on our Ubuntu system. Once the download process is complete, launch your system terminal and run following command to extract the downloaded file. Here run following command to start the installation process. That’s it, now run following command to complete the installation of this application. 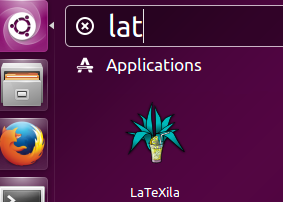 Congratulations, latest Latexila has been installed on your Ubuntu system. Launch it from Applications menu. Start testing and using this new version. It is a GTK+ based application, extremely lightweight and easy to use. It works flawlessly and is feature-rich application. We tested this new version on Ubuntu Unity desktop as well and it works like charm. Note that two other PPAs are also dedicated to LaTeXila: ppa:latexila/testing and ppa:latexila/daily. Currently, you will only find packages of the 3.17 version for Ubuntu 15.10 Wily users. 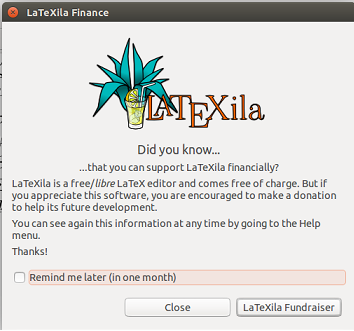 This is because LaTeXila’s main dev has marked GtkSourceView 3.16 as minimum version which is only available in official Ubuntu 15.10 Wily repos.